Changes are underway at the Greater Cleveland Aquarium, which is housed in the historic FirstEnergy Powerhouse on the West Bank of the Flats in downtown Cleveland. Last fall, the aquarium started making renovation plans after parent company Jacobs Entertainment Inc. invested $250,000 into the attraction. The improvements, which include bringing in about a dozen new species, plus upgrades to its galleries and breakout spaces, will span over 12 months — during which the aquarium will stay open. About a dozen new species will be on display — including Green Tree Python and Weedy Seadragon exhibits, which can be viewed beginning in early June. The littlest ones and their parents will love the new Imaginarium, which will have a hands-on play space where kids can pretend they are aquarists, SCUBA divers and exhibit designers. Upcoming renovations include changes to the Rainforest gallery, and the Industry and Habitats area, which dives into how animals and modern industry have an impact on each other. 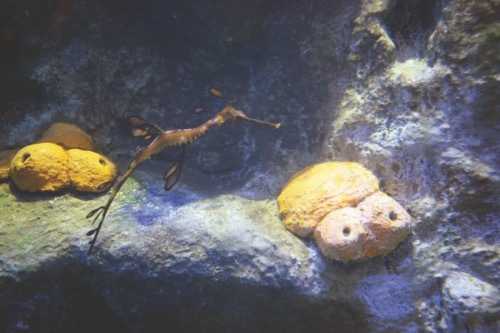 The aquarium also will provide visitors with an opportunity to learn about conservation efforts and how to help the environment throughout the attraction’s exhibits.